I'm in the process of building my relaxed hair regimen and wanted to find a good rinse out conditioner for my relaxed hair. To find a conditioner I decided to take a trip to Ulta and see what I could find. As I was browsing the aisles I saw the Design Essentials products. 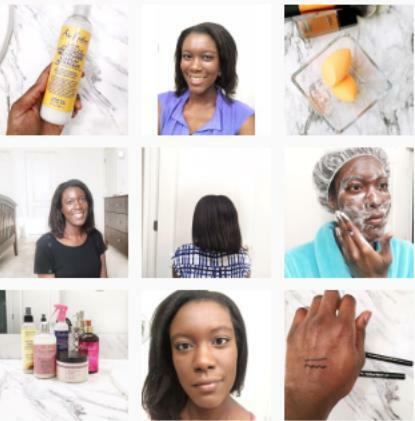 Many of the hair stylists I've gone to use Design Essentials products and I've loved the results. Perhaps I could replicate the results by using the same brand of products. Looking through the products I found the Design Essentials Stimulations Super Moisturizing Conditioner. It says it super moisturizing and since I'm focusing on moisture I thought this would be perfect. "For especially dry hair with essential botanicals and a refreshing aroma-therapeutic peppermint scent that calms and soothes the scalp. The jojoba oil, aloe vera oil, and peppermint calms, soothes and stimulates the scalp. Wheat protein and panthenol deeply conditions, strengthens and replenishes the hair with moisture. This product leaves the hair with a healthy shine and quickly softens, detangles and smoothes the hair cuticles." "Shampoo the hair and towel blot. Massage a palm size amount of Stimulations Super Moisturizing Conditioner from ends to scalp. Comb through (with a wide tooth comb) to the ends. Let stand for 5 minutes; Step 5 Rinse thoroughly and style." "Water, Mineral Oil, Glycerin, Propylene Glycol, Polyquaternium 32/mineral Oil, Quaternium 80, Dimethicone, Jojoba Oil, Aloe Vera Oil, Peppermint Oil, Menthol, Panthenol, Hydrolyzed Wheat Protein, Fragrance, Citric Acid, Silk Amino Acids, Dmdh Hydantoin, Tetrasodium Edta, Methylparaben, Propylparaben, Diazolidinyl Urea." I've been using the Design Essentials Stimulations Super Moisturizing Conditioner for a while and love it! the smell is great and I can feel the tingling on my scalp which gives me a "this must be working feeling." The consistency of the conditioner is a bit thicker than a typical rinse out conditioner which I liked. Most of the rinse out conditioners I've used are runny and will sometimes sit on my hair. The Design Essentials Stimulations Super Moisturizing Conditioner has good slip which allows me to finger detangle in the shower. And after using it I've noticed that my hair feels soft and moisturized. 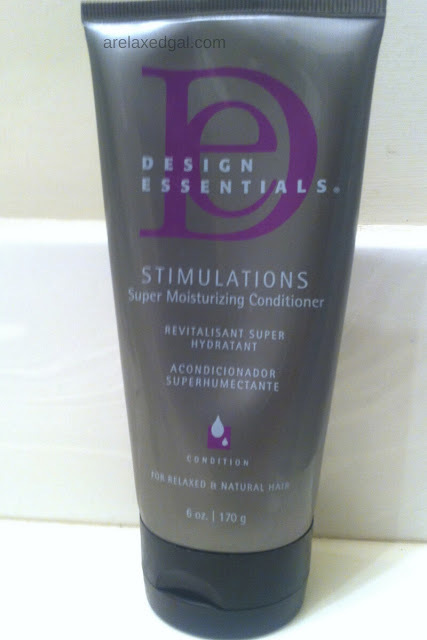 Have you tried the Design Essentials Stimulations Super Moisturizing Conditioner?